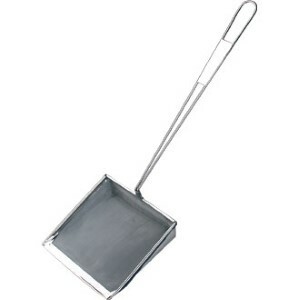 Stainless steel square utensils suitable for skimming fryers. 200mm raised edges. 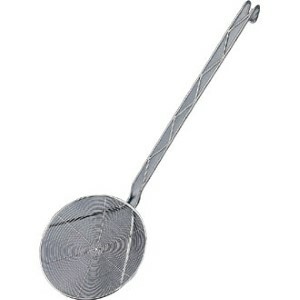 Professional quality heavy-duty nickel steel lifter, suitable for fryers and lifting vegetables and pasta out of pans.Tinned wire. 3 different bowl sizes.